Its more fun with movement. 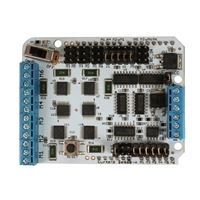 A primo motor shield is here: Control up to SIX DC motors, THREE stepper motors, or SIX Servo motors with this shield. 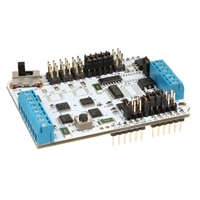 It also has connections to two Radio Control inputs, including a power connection, so you can receive signals from a standard R/C receiver, and control your Arduino. Current sensing on all motors. Great for detecting a stuck wheel. 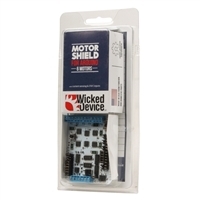 Motor on switch reprogram your robot without the wheels suddenly starting up.